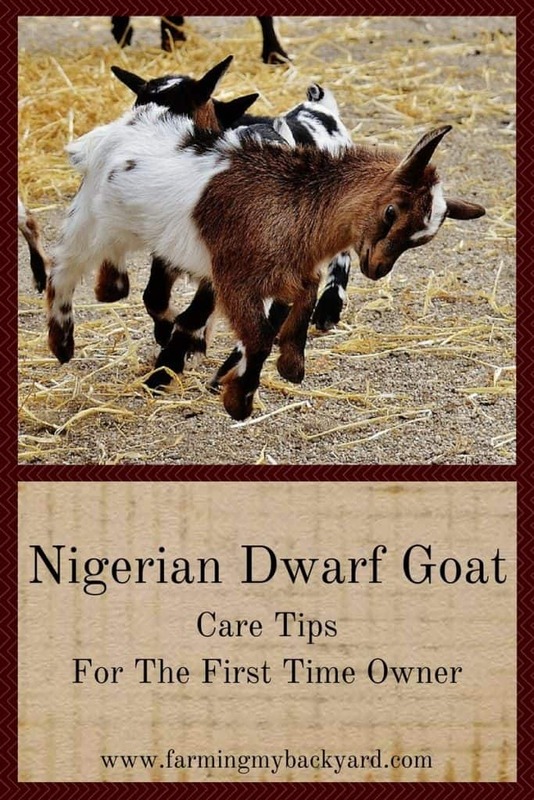 Getting Nigerian Dwarf Goats for the first time can seem overwhelming. Then once you get started with them, and kind of get a groove going with their basic care and it’s not so bad at all. However, there are some little tips and tricks that new goat owners don’t always think about. I recently received a free review copy of Holistic Goat Care by Gianaclis Caldwell, and as I read, there were so many helpful tidbits that I wish I had known back when I had started with goats. First off, did you know that you can train goats to respond to a whistle or other noise? I didn’t realize this until my Nigerian Dwarf goats already had some bad habits (like rushing out the gate when I opened it). But you can use a goat’s horrid distaste of getting wet to do some training. If you are familiar with clicker training, it’s a similar idea. First you whistle, then you use a spray bottle of water or hose. Pretty soon the sound becomes a warning and they will respond to it. 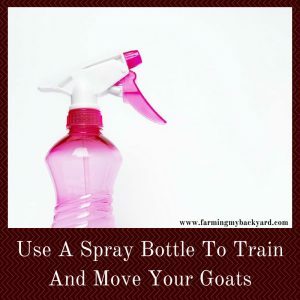 You can also use a spray bottle to help you move a group of goats somewhere you want them to go. Pretty nifty! Most new goat owners know that collars can be a problem for goats. Collars are easily caught in small when goats stick their heads through things or when they jump. What I didn’t realize was that collars can cause problems even when you are walking alongside the goat. As I was reading Holistic Goat Care I was super duper excited when I read a section about leading goats by the collar, only to have them collapse onto the ground. If this has ever happened to you it’s totally scary! One minute you’re walking next to your goat, holding their collar. Then the next minute they’re laying on the ground spazzing out. Apparently if the goat stops suddenly or turns their head, the collar can slip up and stop the blood flow to the arteries to the brain. Luckily, goats recover quickly once you remove pressure on the collar and wait a few minutes. My goat Aurora did this several times and it always scared me. I wish I had known this back then! The saying goes that if a cat can get through your fence, so can your goat. While that isn’t quite true, fences and goats can be a tricky combination. Goats are so curious they frequently get their heads caught. 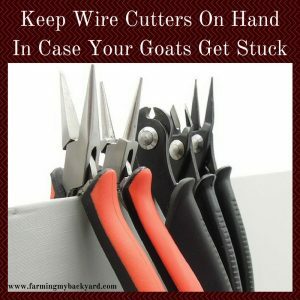 Gianaclis Caldwell recommends always having wire cutters handy for those sort of urgent situations. Another common fence problem is that goats LOVE to rub against them. Goats will rub away their winter undercoats along fences, and eventually can knock down even sturdy chain link. Holistic Goat Care had a genius recommendation for large scale goat farms. Give your goats an old street sweeper brush! I know my girls would have LOVED that. Goats love to jump and climb, and it’s nice to provide “furniture” for them to do that on. However, it’s important to make sure they can’t use their cable spool or picnic table to launch themselves over their fence. A good rule of thumb is place all raised “toys” away from the fence at least two times the length of the goat. (Another tip, make shelves and surfaces slightly slanted so the pellets just roll right off)! One thing that I hadn’t accurately planned for when getting goats was the amount of bedding and manure that would need to be composted. Because I am in a wet area, my goats needed quite a bit of bedding and indoor space to get out of the rain. This meant much more buildup than if the goats had been outside all year long. One way to decrease the amount of bedding is to use raised slatted floors. You will need to clean under these however, so make sure they are easy to move. If you are in a cold area, make sure the goats don’t get too cold with all the airflow though! Speaking of manure, make sure your baking soda and mineral feeders are easy to clean, because, you know… Goats can be super picky about only eating fresh things. This last tip is so simple, I can’t believe I didn’t think of it myself. Only set out tiny amounts of baking soda and minerals at a time, because goats will refuse to eat it once they consider it dirty. I cannot TELL you how much of that stuff I wasted by putting out too much at a time! Common advise to new goat owners is to get yourself a goat mentor. Ideally we’d all have one, but sometimes yours moves away when you are just getting started. Mine did! When that happens, the next best thing are good guides that can help you. Holistic Goat Care is like a goat mentor you can have sitting on your bookshelf all day every day, just in case. 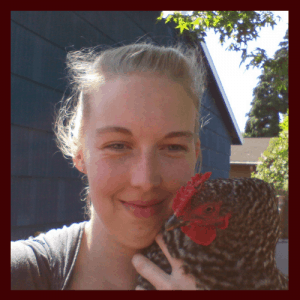 From selecting breeds, managing your farm, livestock guardian dogs, health care, breeding, kidding, health issues, you name it, Holistic Goat Care talks about it. And even better, it has referenced books on some topics. So you can go deeper into certain topics if you want to know even more! I’m such a sucker for good references. I know I will check out some of the ones about pasture management for sure. If you’re thinking about getting goats, read Holistic Goat Care. If you just got goats, read Holistic Goat Care. And if you’ve had goats for a while, you’ll probably still finding something useful. I know I did! I highly recommend you go read Holistic Goat Care by Gianaclis Caldwell! This is interesting about the goats. I don’t know much about them. My brother and sister-in-law raise all kinds of goats. Dwarfs and many different breeds. I know they put a lot of care into them and show them at shows. They have some really pretty ones of all different colors and sizes. Congratulations on being featured on #WasteLessWednesday ! Have a healthy, happy & blessed day! Dwarf goats are good ones! You need to want at least 2 goats. Single goats tend to get very lonely. They are herd animals thru & thru. Is Keeping a weathered meat goat with my dwarf Nigerian Miller as company ok? She will be kidding soon we are hoping for a doe if not we plan on purchasing a doeling. Wethered goats are fine. The only issue would be if it is a lot bigger breed than she is and being aggressive, or it was horned and she is not. Horned goats and disbudded goats shouldn’t be kept together. You can give them keopectate or proto. Do not give imodium! I want a mini goat for a pet, not farming purposes. I’m not sure what to expect I’m sure it’s not like having a dog or cat which I’ve had. Any tips? Goats are herd animals so if you get one it will be very, very sad. So if you get one, make sure you get at least two! Goats are aloof and independent like cats, but in terms of care they need at least as much time as a dog. do goat droppings make good fertilizer? Yes, they do! Compost anything with urine in it first so that the ammonia doesn’t burn your plants though. Good information! ..Thanks.. I have a question..We just purchased two 3 month old nigerian dwarfs and the silly things refuse to climb on the toys we gave them!..They didn’t have any toys where we got them from, but don’t all goat love to climb? I put them up on them and they just jump down and walk away! Any ideas? Are the toys too high for the goats to jump on? At three months old, they’re still pretty small! What is the average cost of a Nigerian kid? I am wanting 2 kids a male and female. Would I have to get a male in order for the female to produce milk when old enough? How old do are the males when typically castrated? The price of kids varies. It depends on their genetics, whether or not they are registered, and whether they are male or female. I paid $200 for each of my doelings who were not registered. I do not recommend getting one male and one female. A breeding buck should be kept separate from the females except when you are intending to breed them. Young bucks can breed their mothers and sisters as early as eight weeks old! Most are castrated between 4 and 12 weeks old. You will need access to a buck to breed your females to get milk. You may be able to rent someone else’s, but if not, you’ll want to keep the breeding buck with a castrated male to keep him company. maybe this is a dumb question… if i get a nigerian doe and dont breed her, will she produce milk? Sometimes goats from really good milk lines can, but it’s not enough to bother milking. If you want a goat in milk but don’t want to breed right away you may be able to buy one after she has had her babies. If a brother and sister breed before they are separated (weaned) should the pregnancy be terminated?? Boys really need to be castrated before they’re able to breed back. However, if that does happen it’s called inbreeding. It can really accentuate any genetic flaws in the line, and it can make it more difficult to sell the offspring. If you are keeping goats for brush or meat, it won’t be a problem. It’s not a good idea to use the offspring for further breeding. The bigger concern would be the well-being of the doe, as it sounds as if she would be too young to really have a healthy pregnancy. Make sure she gets plenty of food so she can continue growing herself. 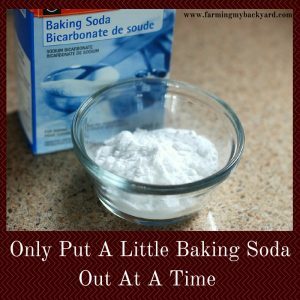 Silly question, why do you use baking soda? I will be getting babies in the spring and trying to get all the information that I can use for my new adventure. The baking soda helps them regulate the ph of their rumen and prevents bloat. How much do you use and is this daily? Put out maybe half a cup at a time and have available to them around the clock. Replace with new baking soda when it’s soiled. I have two babys now, same father different mothers can I breed them? If you breed two from the same father it will accentuate any positive or negative attributes passed on from the father. If you are new to goats, I recommend not breeding them. I have never had goats before and I want them this spring 2019. I’ve gotten most of my Fencing complete, making toys now and getting everything in order. Just dont know where to buy them. We want a minimum of 4 Nigerian Dwarfs. We want them to have their shots, horns removed, and castrated before purchase. Can anyone help me out? I live in Jacksonville, NC. Will or can the goats co-habitat with chickens? They do okay together, but you have to make sure the goats cannot access the chicken food. They love it and will go to great lengths to eat it, but it can give them bloat and kill them. You can feed them unlimited hay, but you’ll need to ration out any grains because they can give themselves bloat. I would contact a local vet who could help. I just bought one dwarf goat, she is 5 weeks old. How do i make sure she is happy w/o another goat? Goats are herd animals and they need to be with another goat.